10 tubes of 330 mm (13″) long. 3 different types of elastic thread with different degrees of elastic strength (on a spool). 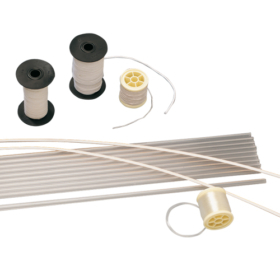 1 spool polyester monofilament for an optimal gliding effect (if necessary).